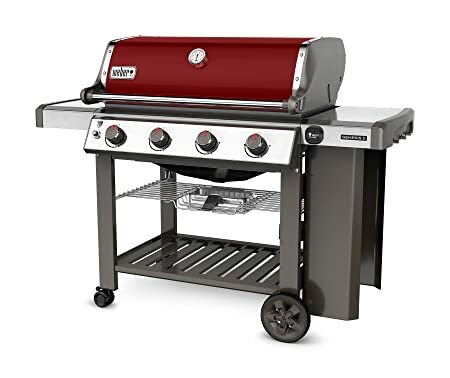 On Amazon you can now get this Weber Genesis II E-410 Liquid Propane Grill in Crimson for just $699 shipped (regularly $899)! When you purchase from Amazon, you’ll receive FREE expert assembly! This high-performance grill includes four stainless steel burners with porcelain-enameled Flavorizer bars and Grease Management System. The porcelain-enameled cast iron cooking grates provide 646 square inches of cooking space while the tuck-away warming rack overhead provides 198 square inches of space. It also features an Infinity Ignition and integrated hanging storage hooks for your barbecue tools.